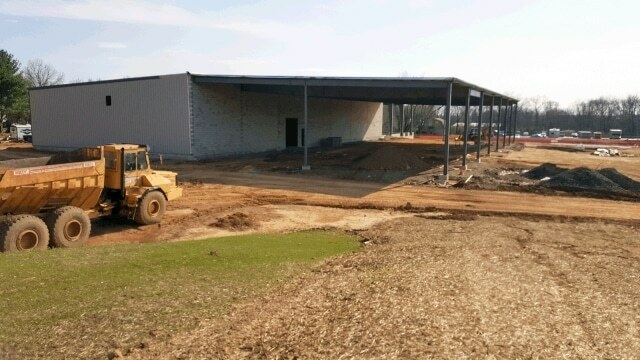 Electronic Fluorocarbons, LLC (EFC), a leading provider to the semiconductor industry of Electronic Specialty Gases (ESG's), packaged and purified to the highest specifications, announces that construction is well underway on their state-of-the-art manufacturing and purification facility on a 15 acre greenfield site in Hatfield Township, Montgomery County, Pennsylvania. The facility is expected to begin operations in the 3rd quarter of this year. Upon completion, EFC will combine and move its current production facility in Ivyland, Pennsylvania, to the larger Hatfield Township site. The new location's close proximity to major shipping ports such as Philadelphia and New York/Elizabeth will provide a strategic advantage through easier access to global markets resulting in faster order fulfillment. This plant will have bulk capabilities, strategic customer order staging, and research and development capabilities to allow EFC to expand into new markets, adding advanced materials as well as additional Electronic Specialty Gases to its core product line. The Hatfield Township plant will include an R&D Center, with improved analytical capabilities where EFC's experienced scientists and engineers will have the ability to develop new product lines beginning at the bench top, through the pilot plant phase, and then scaling up to market introduction. This state-of-the art center will enable EFC to research purification methodologies that will exceed currently accepted standards in the semi-conductor industry, while continuing to supply high quality, cost-competitive materials in a safe and responsible manner. "This purpose-built facility … represents a major milestone for Electronic Fluorocarbons. It positions us well to execute on technical and strategic initiatives in several high growth markets, and to provide our customers with higher capacity and improved redundancy," said Pavel Perlov, Electronic Fluorocarbons' CEO and Founder. "Electronic Fluorocarbons decision to remain in Pennsylvania will create high quality jobs over the next three years. The township, county and state will also benefit from the company's presence here," said Pavel. "We look forward to working closely with the local communities as we establish and grow our manufacturing capabilities in Pennsylvania. We truly appreciate the assistance of the staff of Hatfield Township, and other local officials in siting, permitting, and financing this facility". EFC is a leading supplier of high quality hydrocarbon, specialty, rare gases and laser mixtures to North American, Asian and European Gas Distributors at competitive prices. EFC stocks an extensive range of hydrocarbons, halocarbons and rare gases, available in both disposable and refillable cylinders (customer owned or rented), with available cylinder tracking capability to boost efficiency. Sourced globally, these specialty gases are purified using EFC's proprietary synthesis, purification, and packaging technology to meet and exceed stringent industry demanded specifications, accompanied with detailed and exacting analytical reports. As the global supply of high purity gases in this industry becomes more limited, EFC continues to provide the highest level of customer service while being committed to reducing perfluorocarbon (PFC) emissions into the environment.